Eventually, content focused on any area plateaus and becomes repetitive, unimpressive and ineffective. The initial freshness of a topic wears off, and marketers are forced to deliver commonplace posts that reiterate widely-known information and don’t really solve readers’ problems. Few content creators truly address this problem by creating fresh and beneficial content based on new data, while most others simply recycle and rehash existing information to keep up with content demand. With AI, marketers can satisfy the content demand, create hyper-personalized content and ensure targeted delivery. Here’s a summary of 5 such ways in which AI will redefine content creation and delivery. Why have reporters write articles when you can program bots to do it for them and do it quicker? Enter Heliograf, the Washington Post’s in-house bot that has written hundreds of articles covering everything from sports to politics. These bots are not only more efficient but are also more capable in being able to write in multiple languages. Typically, reporters cover events and then convert their notes into articles, with bots, news agencies can cover more events and convert facts to posts more efficiently. News agencies that use bots can also target a wider demographic if their bot is able to rewrite articles in different languages. It’s not only the news industry that AI will transform. 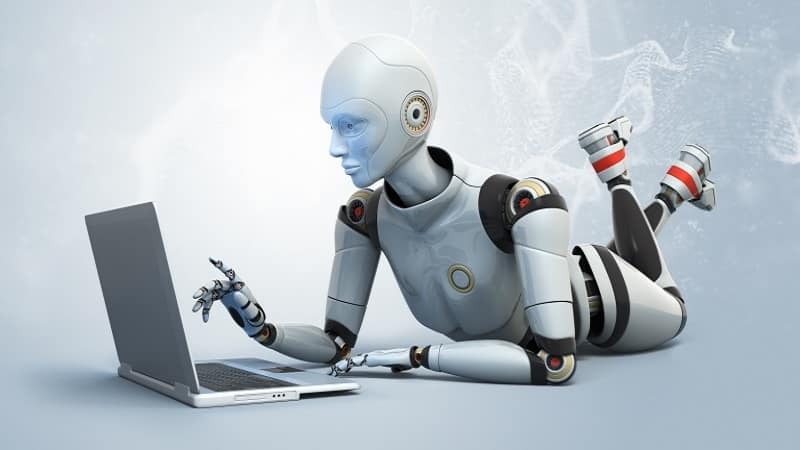 Any industry that requires content written for web pages, blog posts, social media posts or even marketing reports can use bots to streamline and produce better content more easily. One of the reasons why creating quality content is tough and time-consuming is because it needs to be optimized for search and conversion. AI(Artificial Intelligence) can be trained to consider and apply such factors when creating content, so content creation via chatbots will not only be efficient but also effective in terms of goals. According to a study conducted by Forrester, 40% of the marketers who participated said they struggled with personalization. Personalized marketing is challenging because it’s not easy to collect accurate data and draw the right conclusions based on them. Analytics can be tricky because it sometimes reports erroneous data and sometimes hides data from marketers. And without the complete picture, it’s easy to make incorrect choices in terms of content or delivery. However, with AI powering analytics apps, marketers can be sure of making the best decisions possible based on available data. Right now, several companies around the world are probably developing ways for marketers to communicate with billions of people at the same time, but in a personal way, and AI is at the core of that technology. Facebook is an excellent example of this technology in action. Big data, machine learning, and autonomous decision-making are all characteristics of AI which can enable marketers to make the most of data and create content that can help them connect with audience members in a deeper way. And the better a brand connects with its audience, the more profitable its business is likely to be. However, to enable these changes that AI will bring, the world will need technological advances in other fields as well, such as advances in disk-space and bandwidth. Unlimited web hosting seems like a promising solution to expanding disk-space and bandwidth, which in turn can help handle storage and transfer requests that AI will undoubtedly require. It’s not enough to create tons of content. It’s also important to be able to deliver that content in the best way possible. And one of the barriers that marketers face today is the barrier of geography and culture. While social media and communities have drawn the corners of the world closer than ever, marketers still have a long way to go before they can target prospective customers both globally and locally. And target them not only in terms of language and cultural references but also by publishing at the right times to make the most impact. AI can also be used in the future to perform location-based targeting using local maps and areas. Manually created localized content for audiences from the world over may seem impossible, but AI will make this a reality in the future. Localized content does already exist on platforms such as Google and Facebook, and you can see the effect that it has on your friends and family who are on them. For instance, Facebook highlights events near you and Google is optimized to serve-up different results to people using the search engine from different parts of the world. Localization in content marketing can open-up new markets for you to target, and with the support you receive from AI technology, you will be able to chase them effectively. Businesses today are already beginning to talk content marketing solely in terms of ROI. This is because of end-to-end tracking solutions that have become available to marketers, allowing them to calculate the results of their marketing efforts. It’s also because marketing options today are many but marketing budgets are not growing at a proportional rate. To talk marketing in terms of ROI, you have to be able to drive sufficient traffic and sales through marketing activities. And with AI, you can deliver just the right content and guide prospective customers to make a purchase. AI can man the sales front on your online stores and chat with existing customers to convince them to buy even more. AI-based chat and customer support bots are already quite capable of turning queries into conversions. Tagove, for instance, has an interesting chatbot that can converse with offline visitors on websites. Having a chat based presence on a website can greatly turn referral to conversion odds in your favor because customers’ queries can be answered instantly and to their liking. This support is critical because customers are doing more research now than ever before making a purchase. Unless you make that information available to them, you may find that they will find it elsewhere and sometimes make decisions that don’t favor your desires. If Ai enables content marketers to have personalized content created at large scale, that very content could be prone to security risks. That content will have to be organized meticulously and delivered accurately, without the occurrence of any mishaps. If the content in the future will contain special discounts for each person who receives it, that data will have to be recorded and tracked very carefully. In some sense, this type of personalization is already being implemented at present by e-commerce stores and massive financial organizations. 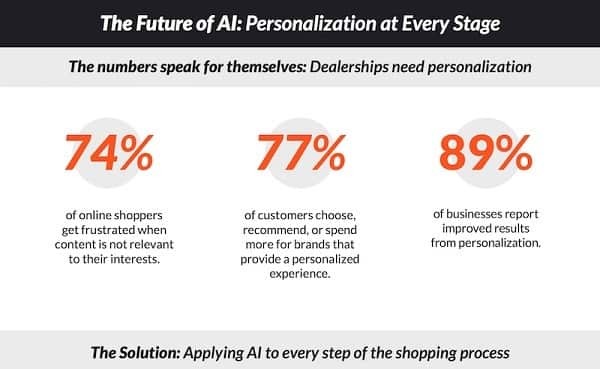 However, for this type of personalization to be applied to all stages of marketing, AI is necessary. Today, end-to-end personalized content already exists as blockchain technology. Every cryptocurrency trader is assigned a unique ID per transaction and the IDs of the entire blockchain are updated each time any trader conducts a transaction. Clearly, this type of technology is a possibility and isn’t that far off in the future. Content marketing is getting saturated in its current form. Marketers are unable to keep up with the demand for high-quality, personalized content for every marketing task. With AI, marketers can meet this demand for content and redefine the way content creation and delivery occurs.